The FIFA World Cup is the greatest sporting event in the world. Held in an interval of 4 years, the tournament involves approximately 211 countries who compete for a place in the final 32 or 48 as it has now been extended to. The tournament was first started in 1930 and is currently 88 years old. The FIFA World Cup involves two stages, the qualifying stage where countries all over the world compete over a span of 3 years and the World Cup Finals, where the final qualified teams compete for the ultimate sporting prize. The FIFA World Cup is the greatest test of a player’s abilities and those who are fortunate to lift it can claim to be the best in the world. The World Cup has been the stomping ground of many stalwarts of the football world, however, there are a few legends of the game who unfortunately never made it to the final stages. The King of Old Trafford is often considered to be the player who changed the fortunes of Manchester United. When he joined United from bitter rivals Leeds United in November 1992, the Red Devils were 10th in the Premier League and looked a long way off the top of the table. However, Cantona’s arrival kick-started a revolution at Old Trafford, where United lost just 2 games in the League, since his joining, to become the first Premier League Champions. At Leeds United, Cantona won the last Football League First Division Trophy and an FA Community Shield. At United, Cantona won 4 Premier League Trophies, 2 FA Cups and 3 FA Charity Shield. 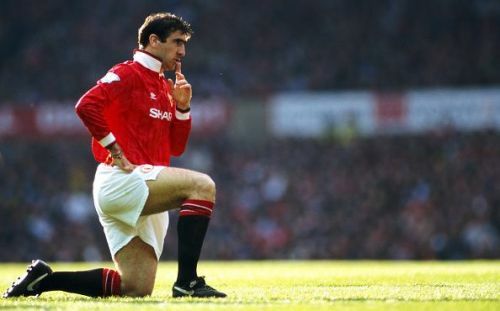 He scored 70 goals from 156 games in the Premier League and retired with 165 career club goals from 440 games, however, Cantona never played in the World Cup with his country France. He scored 20 goals from 45 games for France, however, narrowly missed out on qualification to the 1994 World Cup. During the qualification stages of the Euro 1996, Cantona was the Captain of the France team, however, the infamous kung-fu kick incident at Selhurst Park led to his ban and lengthy separation from the International team. By the time his ban was over, a certain Zinedine Zidane had taken over his position in the team and Cantona never made the squad to Euro 1996. He continued to be ignored for the country squad, even though he was firing up the Premier League with United. The legendary Frenchman retired at the end of the 1996/97 season and never got the chance to represent his country next year, as France hosted and won the 1998 World Cup.